ICCS (Indian Culture Center) Proudly presents FLOWER HOLI 2016! 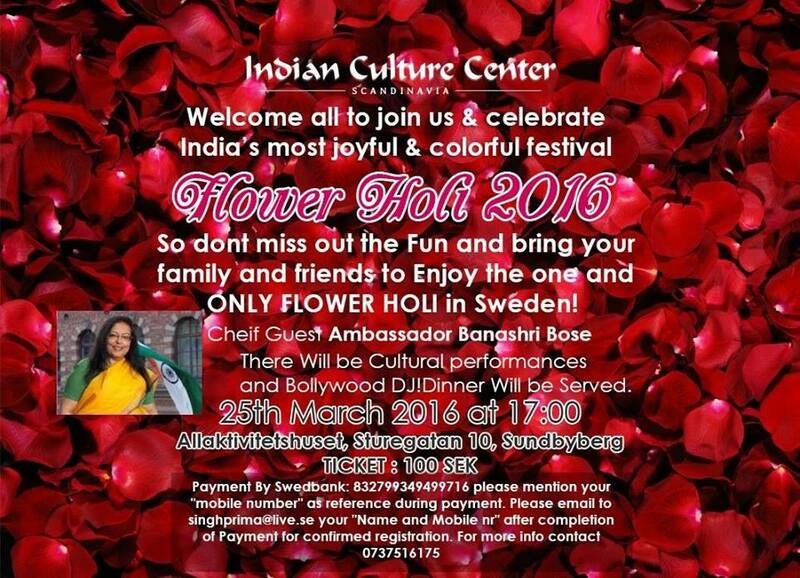 So dont miss out the fun and bring your family and friends to Enjoy the one and ONLY FLOWER HOLI in Sweden! There Will be Cultural performances and Bollywood DJ! Where : Allaktivitetshuset (Sundbyberg) Sturegatan 10.